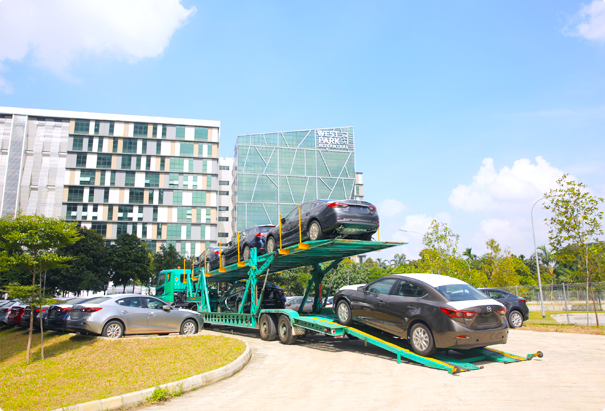 With more than 20 years of experience, Cogent continues to be the leading provider of Automotive Logistics Management Services in Singapore and a well-trusted business partner in the industry. 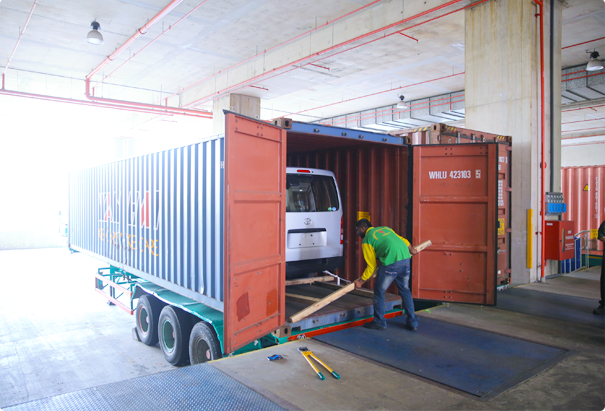 Our comprehensive automotive logistics services range from customs processing and transportation, to storage of motor vehicles within our licensed and authorised warehouses. Our comprehensive automotive logistics services range from customs processing and transportation, to storage of motor vehicles within our licensed and authorised warehouses. Customs-licensed warehouse storage on multiple sites. 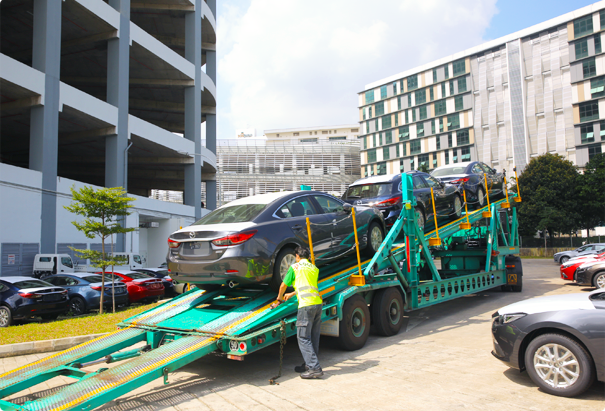 Under Singapore Customs regulations, duty-paid vehicles are required to be stored in authorised Licensed Warehouse storage while waiting for connecting vessels prior to duty, GST payment and trans-shipment. As Cogent owns Licensed Warehouses at strategic locations, we are able to store vehicles at a location most advantageous to our customers. 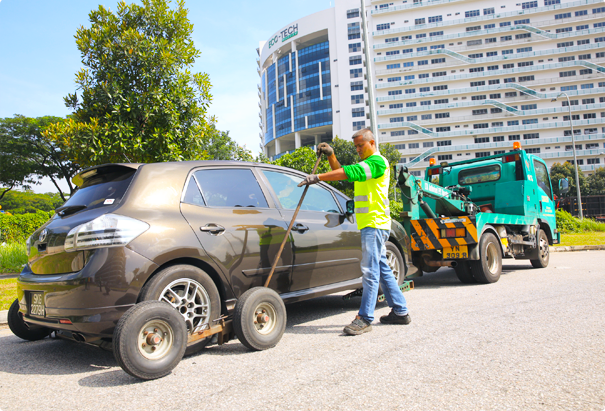 Repossessed Vehicle Centre Cogent assists the Land Transport Authority (LTA) in both the repossession of cars with outstanding road taxes and also with the impounding of illegally modified cars. 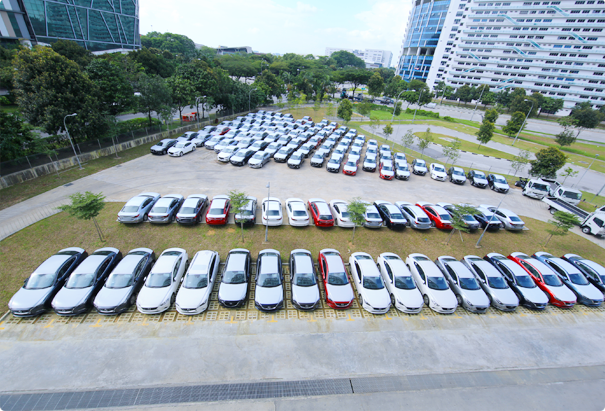 Storage of used / de-registered cars pending for export or scrap in Export Processing Zone (EPZ) Under LTA's regulation, de-registered vehicles are only allowed to be stored in an EPZ. As one of the few EPZ operators licensed by the LTA, Cogent provides storage for de-registered vehicles waiting to be exported / scrapped coupled with administrative services to assist clients with the de-registration of their vehicles. 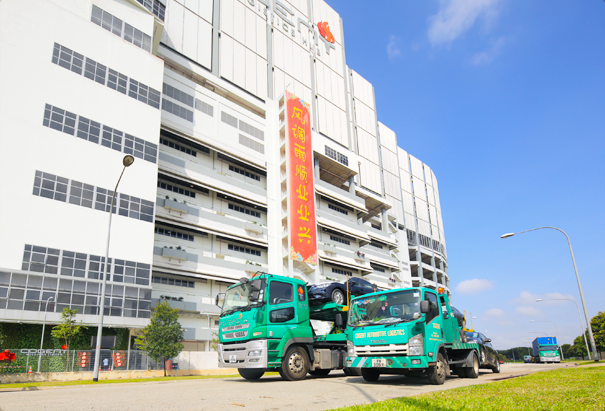 Trucking services for import and export of motor vehicles Cogent's 24-hour call-centre is the heart of our automotive logistics transport operations. With our GPS fleet management system, we are empowered with the connectivity to track our fleet at any given time to ensure speedy and efficient delivery of vehicles. Declaration of documents e.g. Customs Permits, VITAS applications, De-registration of vehicles. It is imperative to obtain relevant documentation from the authorities in order to manage the logistics of vehicles. At Cogent, our friendly, experienced staff are always ready to assist our customers with these processes. Stuffing of vehicles into containers for export and un-stuffing of vehicles from containers for import Cogent offers a team of skilful and experienced Stuffing / Un-Stuffing crew, coupled with high quality equipments and materials to provide a first-class service for our customers and ensure that vehicles are delivered in the best conditions. Emphasis on safety with our "Zero Damage Policy"
We operate around the clock (24/7) with call centre assistance to provide flexibility to support clients' logistics needs, such as scheduling critical parts for automobiles and urgent document deliveries at any given time. In managing the supply chains of automotive logistics, we provide a dedicated fleet, maintenance of the equipment, labour management, risk management and regulatory compliance to enable you to focus your time, efforts and capital on your business; not your fleet.